Also see Legal & Lawyers in Mexico and Driving in Mexico, general information on operating a vehicle in Mexico. ADA VIS Global Enterprises provides competitive Mexico auto insurance rates including full coverage GMAC approved policies on daily and annual basis. 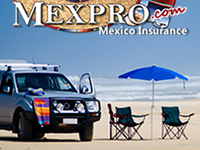 Adventure Mexican Insurance Services offers the highest quality ONLINE Mexican auto insurance. Customers can Purchase & Print their insurance policies in minutes! 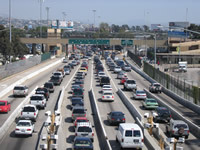 We have over 25 years of experience offering quality and reliable Mexico Auto Insurance. We are licensed in the state of California, Arizona and Texas, and specialize and provide quality and reliable Mexico Auto Insurance coverage to US & Canadian Residents driving their vehicles into Mexico. Make sure you protect yourself before driving to Mexico. Drive Safe with AmigoMex! Baja Bound makes it easy to buy Mexican insurance from underwriters you can trust. We work with three Mexico insurance providers, HDI Seguros, ACE Seguros and Mapfre Seguros. All three are subsidiaries of international insurance companies, so your policy is backed by a company you can depend on. Learn more about the car insurance for Mexico we offer in our Mexico insurance FAQs section and why you need Mexican Insurance when you head south across the border! 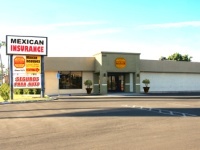 The best Mexican auto insurance. More coverage, superior value, and the best choice! 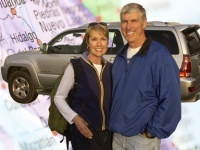 Superb Mexican tourist auto insurance for travel in Mexico.At Lewis and Lewis, we value customer relationships. 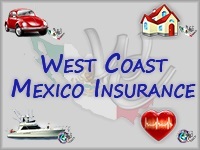 Many of our Mexican Insurance clients have been insured with us for most of the 31 years we have been in business. Our clients rely on our service year after year, after year. Global Air Medical Evacuation. 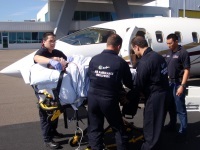 Don't get hit with an unexpected $25,000 to $50,000 or more to get you home by air ambulance! In many cases insurance will NOT pay! If returning home in the event of a serious or critical medical emergency is important to you, CONTACT ME TODAY your choice of flexible plans with excellent rates! No Deductibles * No Out-of-Pocket Costs Medical Transport Home When the Unexpected Happens. Whether you are driving to Mexico for a weekend holiday, to escape colder weather, to visit friends and family, or you are a U.S. or Canadian citizen living in Mexico, we are here to help you! We offer coverage for all of your needs with Auto, Homeowners, and Health insurance packages. Click on the product you are interested in for an immediate, real-time quote. Mexican Insurance, the American Way! 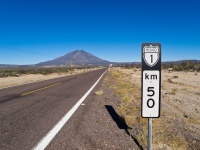 MexiPass policies provide US standards of coverage in Mexico from top international companies (AIG and Chubb). Don't settle for inferior coverage or policies with funny wording and exclusions in Mexico. Contact us to buy online or find an agent and get the Best Coverage at a Great Price for your Car (US/Canadian or Mexican plates), Home (including condos or renters), Boat (liability and full coverage) and Business. The pioneer of mexican insurance, Oscar Padilla dramatically altered Mexico driving safety in 1951 by opening the first mexican insurance office. Now celebrating 63 years as the oldest and finest organization in the industry, Padilla's legacy of knowledge, experience and standard of service remain unmatched. Unquestionably the quickest, easiest, and most affordable service on web. Buy online or call toll-free (800) 466-7227. 63 years later and still #1! If you are traveling to Mexico you need coverage. 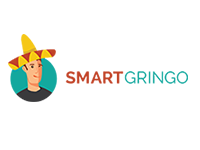 SmartGringo offers a variety of options to meet your needs. Whether it's a temporary auto insurance policy, travel medical insurance, watercraft insurance, and even homeowners insurance, SmartGringo can get you an affordable policy in just minutes online. Lowest Price Guarantee. Home, Auto, Health, Life, RV, and More. Our Policy Premiums are the Lowest Anywhere for the Same Company, Same Coverage and Identical Policy Level. We Guarantee It. Immediate Coverage Available online. Protecting their clients assets & health in Mexico since 2004. Providing Mexico insurance solutions for Mexico Auto Insurance, Mexico Home Insurance, Mexico Condo Insurance, Mexico Boat Insurance, Global Health Insurance & Global Accident & Illness Travel Medical Protection & more. "A" Rated insurance carriers back their promise of protection & service you can rely on. As a Full Service agency, it's nice to work with one agency that can help with all insurance needs in Mexico! !